Lenovo Vibe K4 Note Bought this phone at 11999 in the last week of December .since then it has been about two months and I am quite satisfied with this phone. As I am a music lover and the phone had Dolby atmos which makes it one of the best sound smart phone available in the market. Lenovo Vibe K4 note will not disappoint you when it comes to built quality and sound.Normal Mobile users and music lovers without any second thought can go for it. 1 Very simple and sleek design. 2. Dolby atmos makes it one of the best sound smartphones in the market. Really loud and clear. 3. Overall good built quality. 4. Fast and accurate fingerprint scanner. 5. Stunning full HD IPS screen. 7. 13MP /5 MP camera with Dual LED Flash light make value for money. 8. Big 3300 mAh high-capacity battery last long. 3 No good protection around the camera. It has a 5.5 inch screen and a great battery, Gorilla glass. Lenovo launcher crashes quite a few times. Bought this phone in June 2017. Since then have been quite satisfied with it. Amazing Music quality due to the Dolby atmos feature. The external design is also sleek and classy. The 3 GB RAM is a bonus. Quite a amazing phone in the under 15k price range. Amazing Smart Phone with great processing speed & a brilliant picture quality...!! DOLBY has been an Amazing feature for this phone...!! The Marshmellow update is not stable...So I suggest not to upgrade from Lollipop to Marshmellow...!! Superpower saver is a fab thing...!! Great sound & graphics....Along with a brilliant display...!! 20 Pricebaba users have written their experience with Lenovo Vibe K4 Note. If you own Lenovo Vibe K4 Note, please do leave your feedback too. After the huge success of the Lenovo K3 Note, Lenovo is back with its successor. This time it gets even better with great specs for the price offered. The Lenovo K4 Note gets the same 5.5 inch 1920x1080 pixels display we saw on the K3 Note which again comes to 441PPI and is absolutely great to look at. Lenovo has now added an extra layer of protection with Gorilla Glass 3. The K4 Note gets Dual Front Firing Stereo Speakers with Dolby Atmos feature. The K4 Note is powered by a MediaTek’s MT6753 chipset which is an Octa Core chipset with all cores clocked at 1.3GHz. The phone has 3GB of RAM, an upgrade over last years K3 Note. The added RAM is a huge plus for multitasking and does not let the phone stutter. On the back is the 13MP camera with a Dual Tone LED flash. The Dual Tone LED Flash enables it to take natural looking photos in low light. The phone is also capable of recording videos in Full HD resolution. On the front, the phone has a 5MP sensor for those selfie lovers. Below the rear camera lies a fingerprint scanner, which can be used to securely unlock the phone. Speaking of battery the K4 Note’s battery has been bumped to 3300mAh this time to provide few extra hours of usage. The device remains Dual SIM 4G enabled & has an internal storage of 16GB which can be expanded to 128GB via a MicroSD card. The phone runs on Android 5.1 Lollipop with Lenovo’s Vibe UI on top. Lollipop is slightly a disappointment as we expect new devices to ship with the latest Android 6.0 Marshmallow & is available in Black color only. 1. Does it feature a fingerprint sensor? Ans: Yes, it does feature a fingerprint sensor on the back. 2. Does it support OTG? Ans: Yes, it does support OTG. Ans: No, it has a dedicated slot for MicroSD card up to 256GB. Ans: No, the Lenovo Vibe K4 Note comes with a non-removable battery. 5. Does it work with Reliance Jio Network? Ans: Yes, it works with Reliance Jio Network. 6. How is the camera performance for this phone? Ans: It sports a 13MP rear camera and its performance is decent enough. 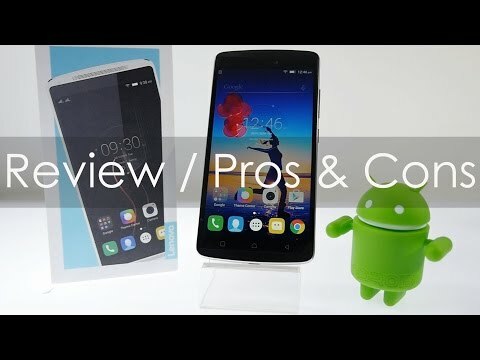 On comparing with Redmi Note 3, it gives slightly better results than its competitor. 7. What type or charging connector do I need? 8. Will this get further software updates of Android? Ans: It was launched with Android 5.1 Lollipop and is upgradable to Android 6.0 Marshmallow.